When you apply to Purdue, you will be asked to choose a school (or college) and a major. When accepted, you are admitted to that school or college. Admission to the Economics undergraduate program that leads to a Bachelor of Science (BS) in Economics degree is through the School of Management. Admission to the Economics undergraduate program that leads to a Bachelor of Arts (BA) in Economics degree is through the College of Liberal Arts. Applying to either Purdue's School of Management (BS) or the College of Liberal Arts (BA) is easy. You can proceed to the Purdue University admissions site for more information, including the ability to apply online. 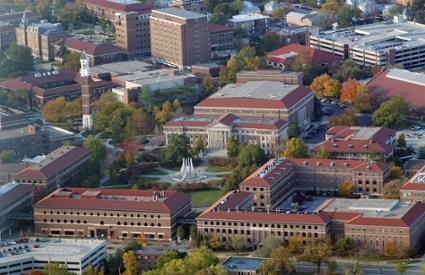 The entire admissions process is handled through Purdue University's office of admissions. Applications are evaluated with a holistic approach. Highly qualified students may be offered direct admission and/or invited to join Purdue's Honors College. Freshmen merit scholarships are awarded through the office of admissions. Your application to Purdue will also act as your application for a merit-based scholarship. To be considered, your application must be submitted by the deadline (usually in late October). If you would like more information or would like to visit, for the BS degree please proceed to the School of Management's (BS) undergraduate programs website; for the BA degree, please proceed to the College of Liberal Arts prospective students website; we look forward to meeting you! To change your major to Economics (BS or BA) or to add Economics (BS or BA) as a second major you should talk to an advisor. For the BS degree, you can visit the School of Management advising office in Krannert (third floor) and make an appointment. For the BA degree, you can visit the College of Liberal Arts advising office in Beering (first floor). To transfer from one school or college to another within Purdue, you must complete a Change of Degree Objective (CODO) application. Note that the EAI courses are different for the Economics BA and the Economics BS.